Awards are an integral part of educational institutions as well as business organizations. These help in encouraging people to put their best effort thereby contributing to their personal growth as well as the organization they are part of. 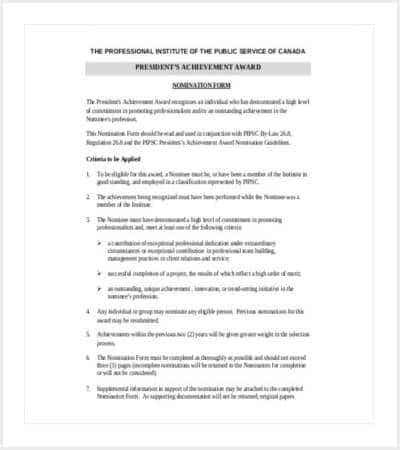 Irrespective of what the award is, it is the award certificate that is most cherished as this can be added to one’s archives and used as a reference for one’s abilities. 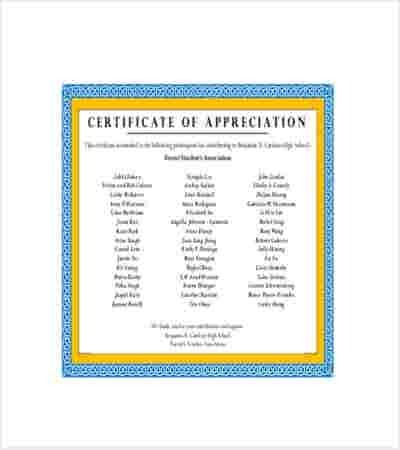 Writing an award certificate can sometimes seem like a task which is why most award organizers make use of award templates. 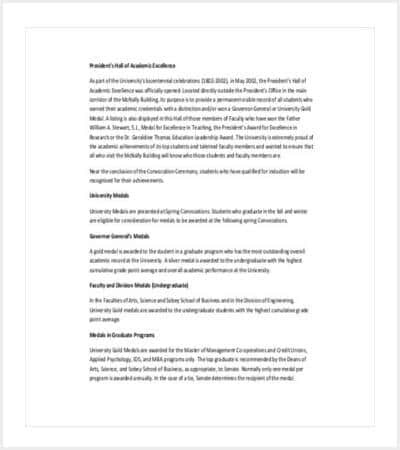 These are designed by experts and comprise of the important segments that should be included in the certificate. The user can, however, make changes to this as per his requirement. 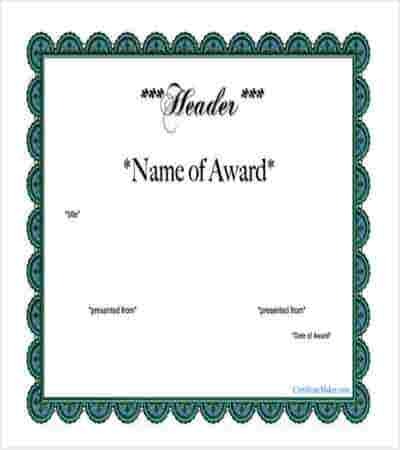 How to Create an Award Certificate Template? Start with the heading of the certificate. You can put this as “Certificate of Achievement” or “Certificate of Excellence”. Below this, add the name and logo of your organization or institution. Remember that a certificate is a small document with limited space. So, there is no need to add in your detailed address. Next place the message that announces the winner of the award along with the achievement. Make sure to leave enough space for the user to add in the relevant details like the name of the winner, his achievement, etc. 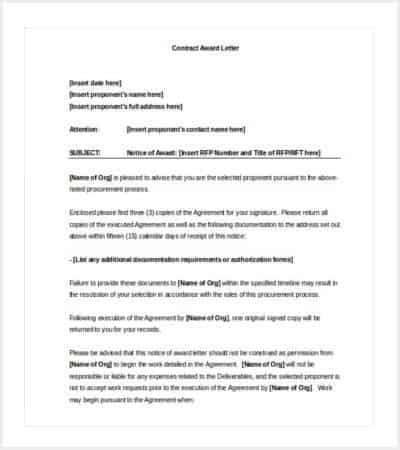 At the end, place a subheading for the signature of the head of the organization and the seal. You can also add in a segment where the date when the certificate was awarded can be entered. This certificate is presented to __________ for showing extraordinary excellence in ___________. 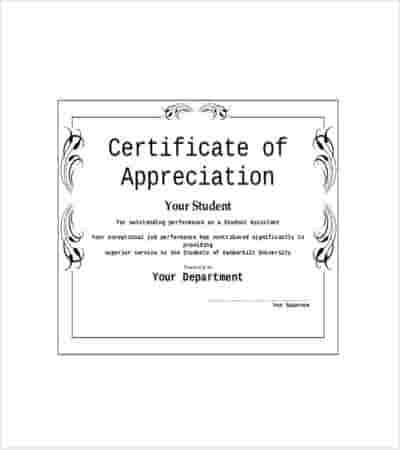 This certificate of appreciation is awarded to _____________ for his/her contribution to ________________________. 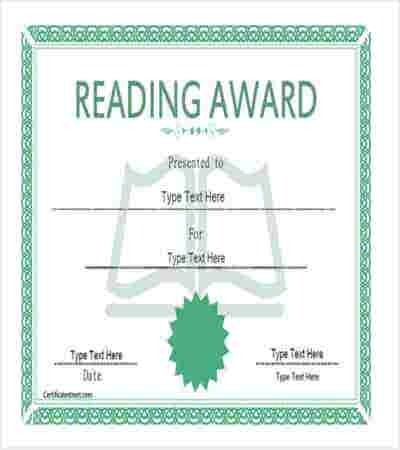 This certificate is awarded to _______________________ for achieving ____________________________ in _____________________. 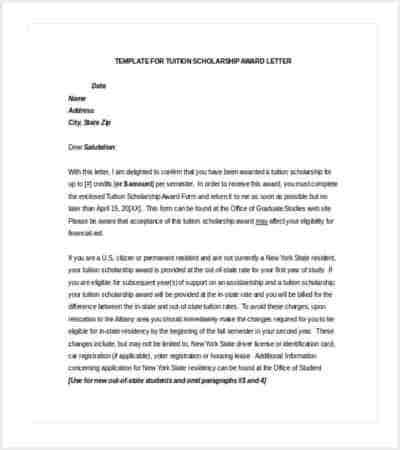 An award letter can prove to be a more important document than the actual award as this can be recorded and cherished by the receiver for the rest of his life. Thus, a lot of thought should go into writing an award letter. It should inform the person about the reason for which he has been chosen to be given the award. It should comprise of the details of the award like the amount/benefits offered etc. It should comprise of some words of appreciation for the employee and his traits which got him the award in the first place. The writer should profoundly thank the award winner for his outstanding performance and contribution in an encouraging tone. It is always a good idea to get the award letter signed by a higher authority as this is an additional encouragement for the person. 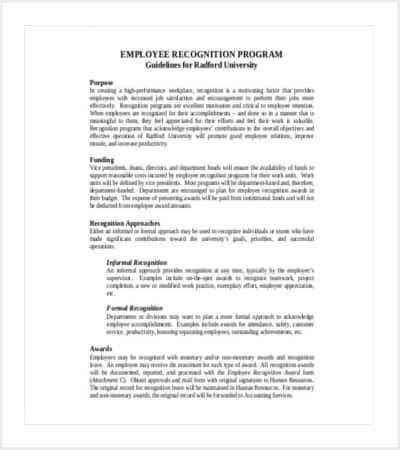 Every year business organizations as well as educational institutions, announce awards for their employees/students for their performance over a given period of time. 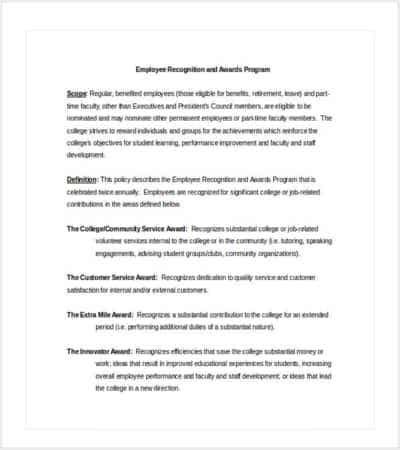 This award reinstates the fact that the higher authorities are constantly gauging the performance of the employee/student which serves as an added encouragement to improve and grow in a positive manner. Many times, these awards prove to have a positive effect on the people working towards it as they try to formulate ways to improve their performances and grab the award. 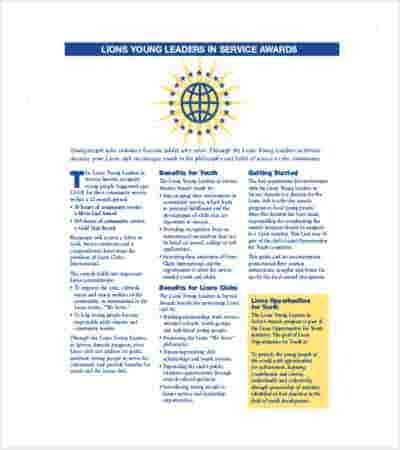 The organizations and institutions that announce and present these awards make use of award templates to design a unique award certificate which they can use for all the awards by just personalizing them with the relevant details. Offices of business organizations hire staff that is responsible for the smooth sailing of all the functions within the company. One discrepancy and the whole operation can be botched up. Thus, most offices seek excellence from their staff. This is easier said than done. Many times people may just not be bothered enough. At other times, they may lack certain essential skills or motive. This could be the reason why most offices give away awards to their employees based on their performance over a period of time. Receiving this award is quite a prestigious issue which is why people work hard to prove themselves. These awards also encourage them to address their weaknesses and work towards improving them. Deciding on the awards for the office is easy. The concerned authority should take into account every department separately and then offer an award for each function. Then there should be an award for overall performance which would bring all the departments together to fight for it. 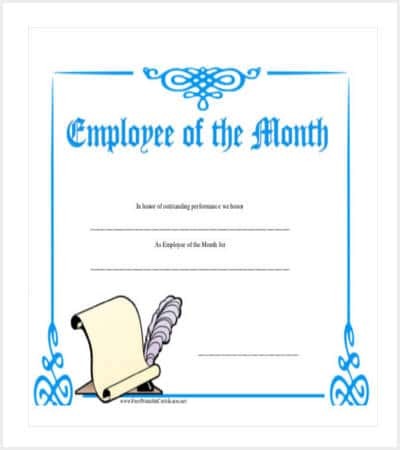 End of the year award, as the name indicates takes into consideration the performance of the employees throughout a financial year. This award has to be decided with some thought. It would be a good idea to analyze the various departments and understand their functions. Based on this, the concerned authority can decide on one or more awards for every department separately. 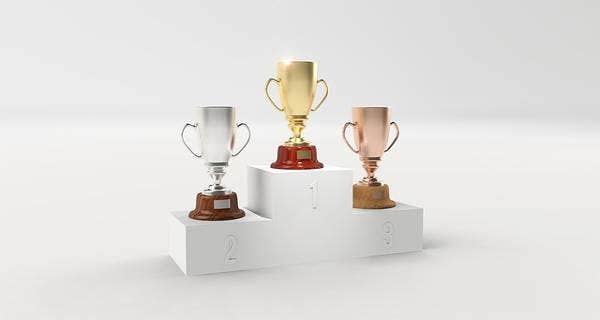 If more than one employee is working on a particular post, then an award should be announced for this to induce a healthy competition among the whole set. Similarly, one single award should be announced for a person for his outstanding performance throughout the year. This would encourage the employee to put in more efforts the next year. 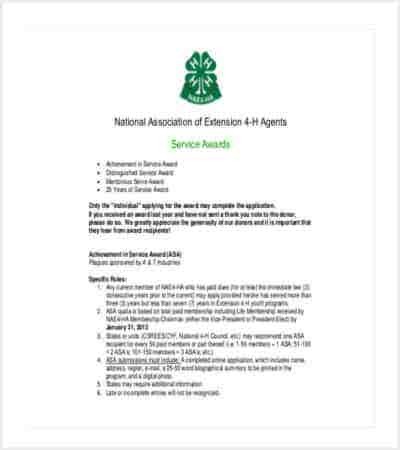 Using award templates can make it easier for the concerned authority to give away the awards in an organized and professional manner. 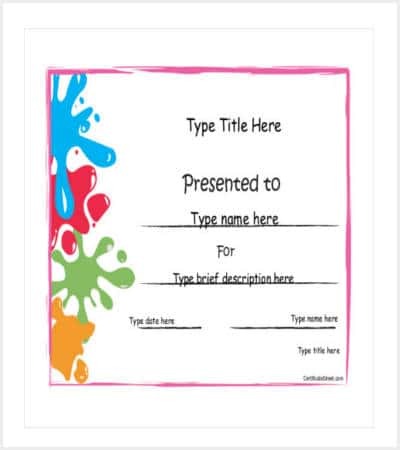 Award templates play a very important role as these simplify the whole award giving process. With all the essential segments in place, the user can quickly customize the template as per his requirements.